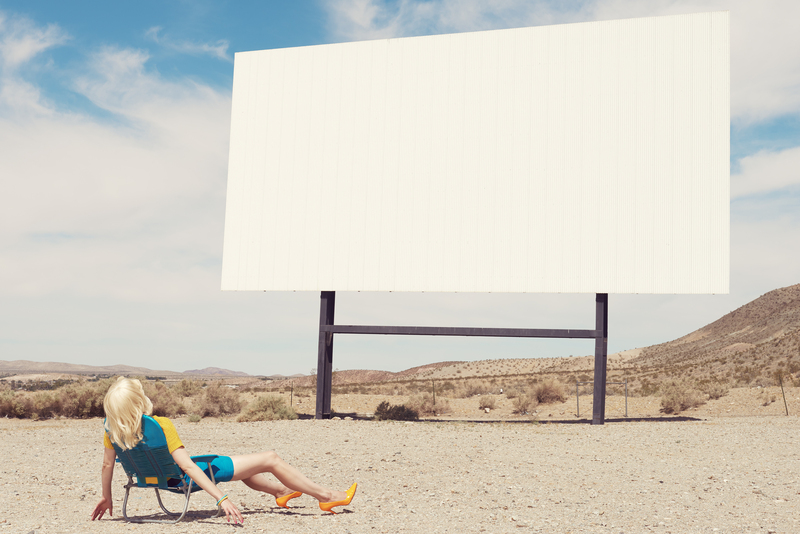 Kourtney Roy: Enter as Fiction – Blog Mode Tendance et Lifestyle| Paris Beaauuu! Once again, I was right to listen to my intuition. I explain to you. Tuesday I was on the Pont des Arts in the direction of the Left Bank, and I wondered what street to take to join the Metro St Germain. Bonarparte street … with a gourmet escape at Ladurée or Rue de Seine that I love with its Arts Galleries. I admit that a small macaroon eaten on the run would have tempted me but I finally listened to my intuition in choosing to take the Rue de Seine. I do not know, but something told me that there would be a discovery at the end! And indeed, my eyes were caught by the pictures of Kourtney Roy, who is currently exhibiting at the Galerie Catherine and André Hug. One woman, hypnotics landscapes of desolation, touches of intense colors. Such as a movie star from 80s, Kourtney Roy takes the stage through the forgotten places of Route 66 and where the sunlight is too overwhelming as the sad reality of these depopulated areas. And there, I can not help but think of music and images of Paris Texas, the film by Wim Wenders and from making the link with Guy Bourdin’s very polished and often subjective photos. Kourtney Roy is a very talented young photographer, to follow!